Yard House, known for its menu of American favorites and 100-plus taps of beer, will introduce an array of new menu items on June 27. In addition to some new meaty options, a new vegan burger has been added as well. Joining the restaurants extensive menu, with more than 100 items made-from-scratch, is the Kurobuta Pork Burger. This special breed of Japanese pork from Snake River Farms is topped with spicy candied bacon, white American cheese and arugula with a schmear of house-made blueberry ketchup. Last summer, Chef Jocson added Nashville Hot Chicken to the lineup of House Favorites and, this summer, he has created a sandwich inspired by this popular dish. The all-white meat Nashville Hot Chicken Sandwich is battered and deep fried, then bathed in a blend of spices. It's topped with spicy sweet slaw and an aged white cheddar spread reminiscent of the southern pimiento cheese. An all-white meat Fried Chicken Sandwich with a shatteringly crispy crust is also a new addition and features lettuce, tomato, aged white cheddar spread and sweet maple Dijon mustard. After visiting his cousin on the Big Island of Hawaii and enjoying poke nachos at a local seaside restaurant, Chef Jocson decided to bring the dish to the mainland. Adding his own signature touch along with many flavor profiles that include a blend of sweet, creamy and spicy ingredients, Chef Jocson calls his version elevated nachos. With the consistency and texture of ceviche, Yard House's Poke Nachos feature marinated ahi, avocado, cilantro, serrano peppers, green onions, sesame seeds and nori served with a sweet soy and sriracha aioli along with white truffle sauce and crispy wontons. Joining Yard Houses growing list of healthful options is the Red Quinoa Salad Bowl, which Chef Jocson describes as the greatest hits of all super foods. The salad is a nice shareable dish or can be an entrée for one with a garden of kale, parsley, Brussels sprouts, roasted beets, cauliflower, pomegranate seeds, blueberries, baby tomatoes, pumpkin seeds and feta cheese. Guests can request that the cheese be removed for a vegan option. Carnivores can choose to add chicken or steak for a heartier meal. Creating a more interactive dining experience is the side of blood orange olive oil vinaigrette, which guests add and toss themselves. The Vegan Burger is made from plant-based gardein and an umami-flavored veggie patty that our chefs mix with red quinoa, kale and shiitake mushrooms that have been seasoned with garlic, onions and miso, topped with dairy-free Daiya mozzarella, avocado, tomato, arugula, and onion on an onion, poppy seed bun. Yard House will debut its new menu items June 27 at all 65 locations. Open daily for lunch, dinner and late-night dining, Yard House offers one of the largest selections of beers on tap plus a creative list of cocktails and wine by the bottle or glass. 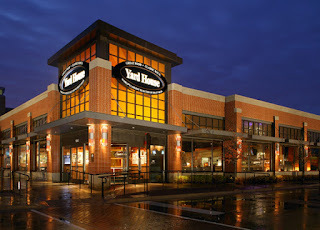 For more information, please visit yardhouse.com or follow on Facebook at facebook.com/yardhouse or Twitter @yardhouse. 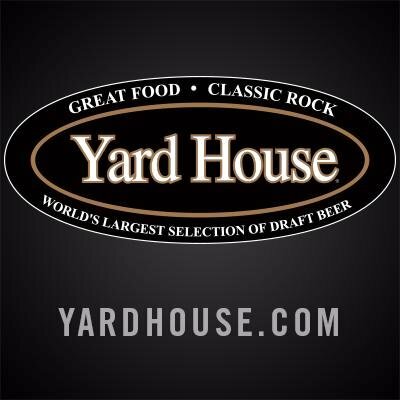 When Yard House opened in 1996 in Long Beach, California, it revolutionized the restaurant industry by creating a 250-tap draft beer system. Its lofty design, warm wood accents, and industrial vibe with the use of steel and chrome, made it a dining destination from the start. Nearly 20 years and 65 restaurants later, Yard House still leads the way with great food, classic rock and a vast selection of draft beer while evolving into an award-winning dining destination known for its menu of American favorites, crafted cocktails and endless fleet of tap handles featuring the best American craft beer and imports. The exhibition kitchen creates more than 100 items made from scratch daily with quality ingredients and globally inspired flavors. The menu reads like a road trip across America and guests can select from an array of items, including grilled burgers, gourmet salads, street tacos, steaks, seafood and house favorites. Each Yard House has its own distinct beer list with a handful of taps reserved for local and regional brewers along with an offering of seasonal and small-batch selections as part of the rotating Chalkboard Series. The glass-enclosed keg room showcases hundreds of steel barrels containing as much as 4,000 gallons of beer that flow to the center-island bar through an extensive network of tubing positioned overhead. From there the beer is fed to the taps where its served ice-cold by the pint, 9-ounce shorty, goblet or half-yard glass container. 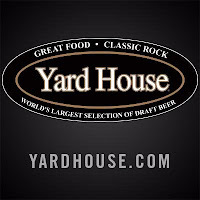 Yard House is also well-known for its classic rock boasting a library of 10,000 songs with each location having its own distinct playlist. Yard House is open daily for lunch, dinner and late-night dining.